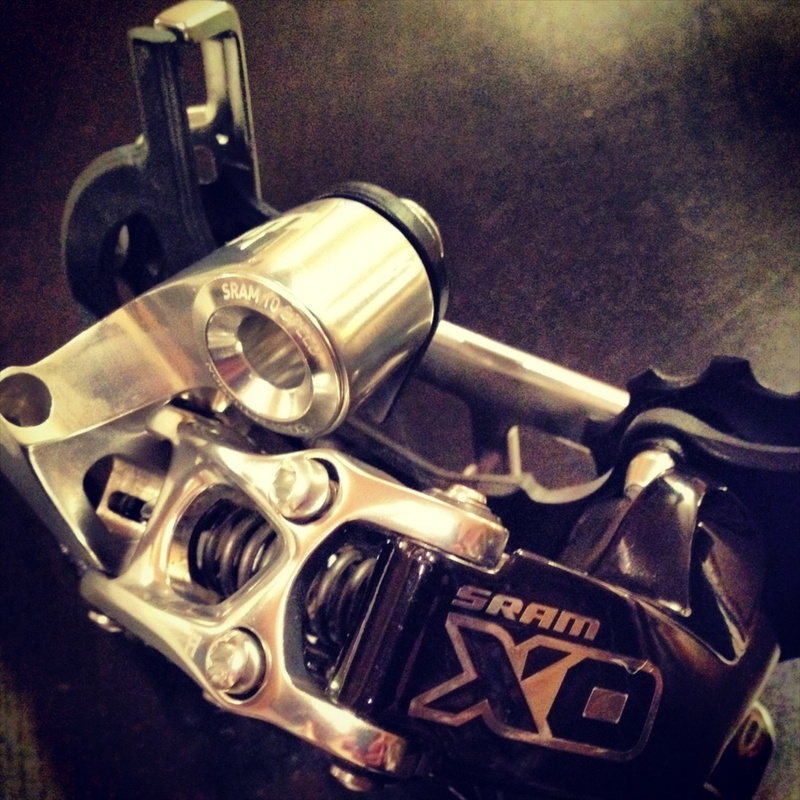 Will update our 1 x 10 drivetrain on the D-Plus with this new SRAM XO derailer. It’s a Type 2 derailer that’s been updated for “maximum drivetrain stability” with a roller bearing clutch that eliminates derailleur bounce and chain slap while keeping it snappy. The XO also features Cage lock lock-out to make wheel changes easier; especially with our horizontal sliders. Push the cage forward and push the button to lock the cage in place and remove chain tension. Replace the wheel, release the button, and done. So we’ve got a 1 x 10 derailer connected to a road lever that addresses slappiness with a lock-out feature for wheel changes? Seems ideal and it’ll get put to the test soon enough.